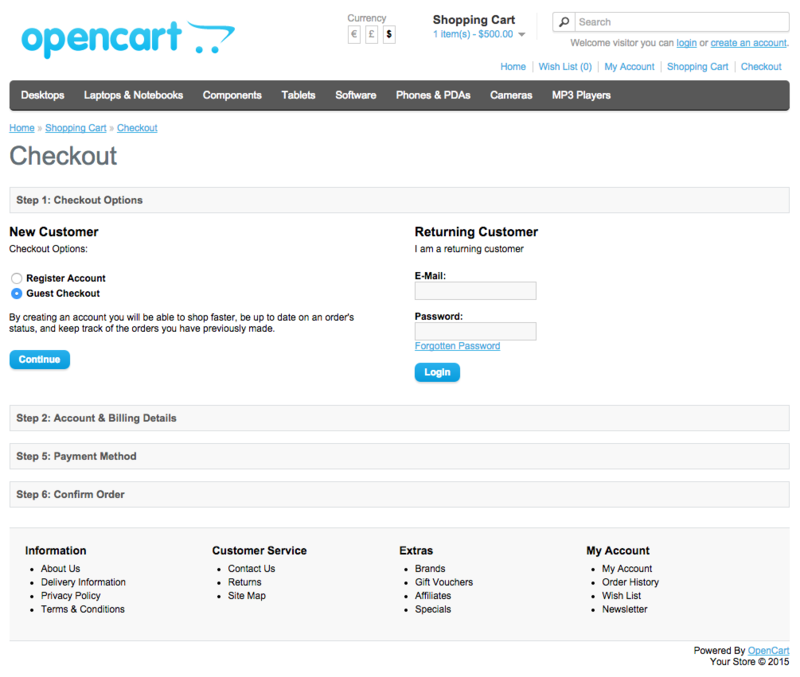 Omise’s payment extension for OpenCart diminishes your daily tasks by automating the entire payment process. The extension allows you to accept payment through credit or debit card directly on your site without having to write a single line of code, or the customer being redirected offsite. Provided that all went well, Omise will appear on the top right of your admin page. 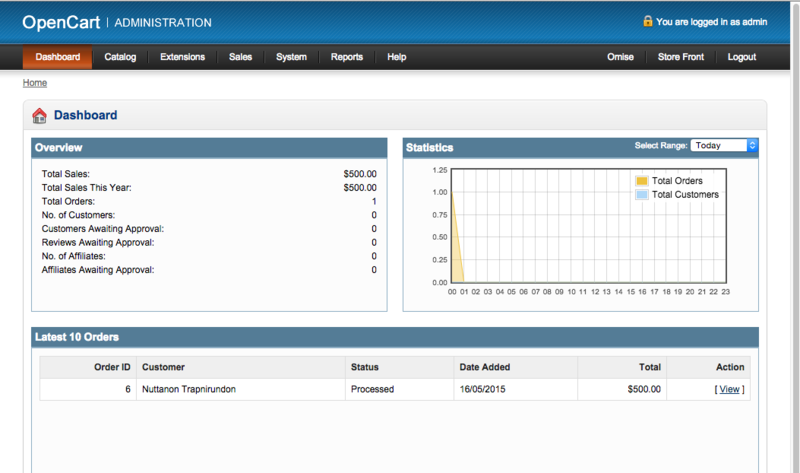 It also creates new folders and files on your-opencart(root)/ directory for the first installation. Ensure these 2 files and folder have appropriate write permissions (usually 755). Fill in and save your Omise Keys. If you'd like to test our service and learn how things work, you can do so by clicking Enable test mode. This puts your test keys in use. Note that the set of keys you use determines whether actual money will be transferred or not. 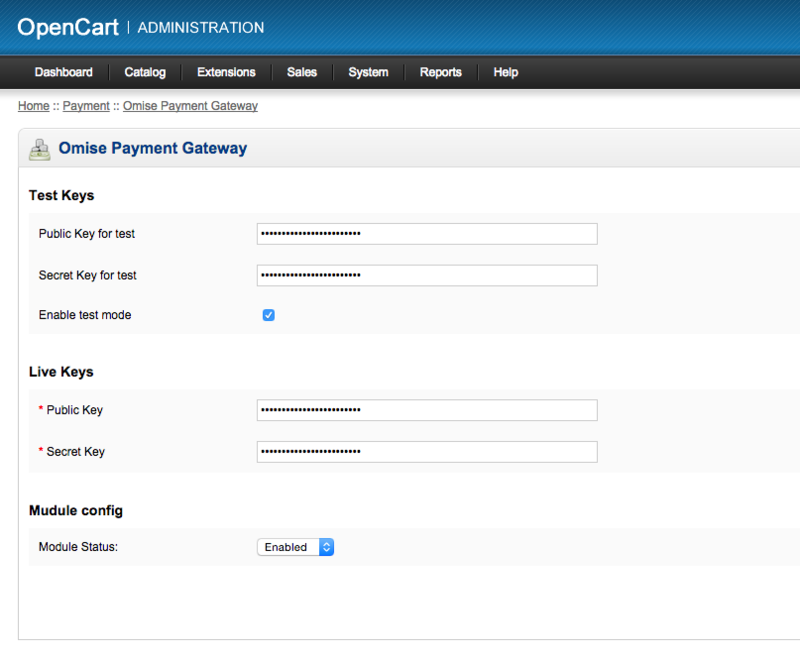 The Module config allows you to enable or disable our payment gateway on your OpenCart site. After setting up your Omise keys, you can now start checking out with Omise Payment Gateway. In order to test it, make sure you set up your test keys and enable test mode. Start off by heading over to your website and add items to the shopping cart. You'll find Credit Card (Powered by Omise). Select it and check I have read and agree to the terms & conditions. You'll be asked to fill out the form with card details. For those in test mode, you can select a test card from our docs. 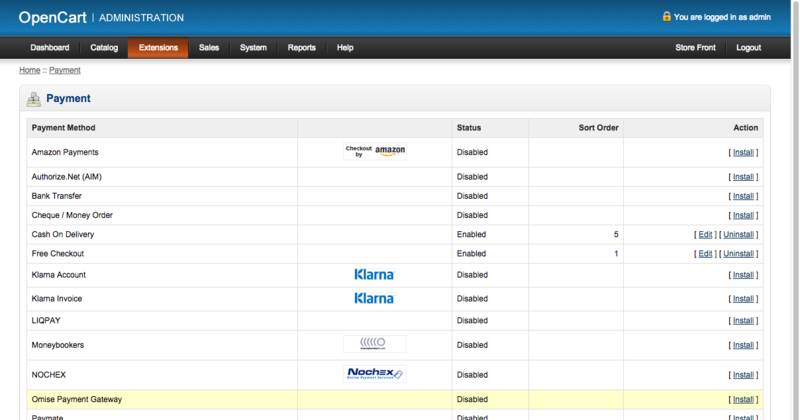 Once complete, you'll be redirected to the following page. 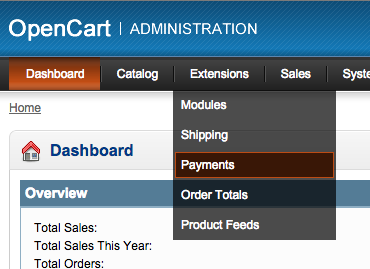 Over at the admin dashboard you'll find the order marked as Processed. 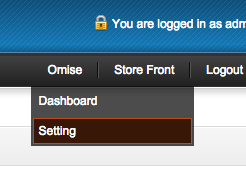 Once done, Omise will disappear from the top right of your admin page. 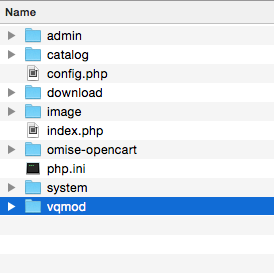 Make sure that you're not using vQmod in other extensions. If you're uncertain, it's alright to leave it there. It won't do any harm to your site. 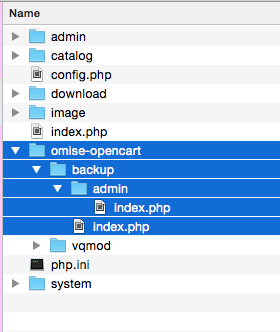 Go to omise-opencart/backup and restore the backup files.